For over twenty years, Elizabeth Meyersohn has drawn inspiration for her paintings from the landscapes around her studio in western Massachusetts. Her approach lies at the intersection of physical and perceived atmosphere and color, utilizing bright colors and stylized imagery to evoke the impressionist paintings from an earlier time. She is particularly interested in raking light and dramatic clouds. The work comes from both direct observation and photography. Now until September 1 her work will be exhibited at a pop-up showroom inside Hurley Motorsports on U.S Rt 209, in an exhibition called Summerland, by arrangement with RCS Fine Art. RCS Fine Art is an art advisory firm that connects people with art. 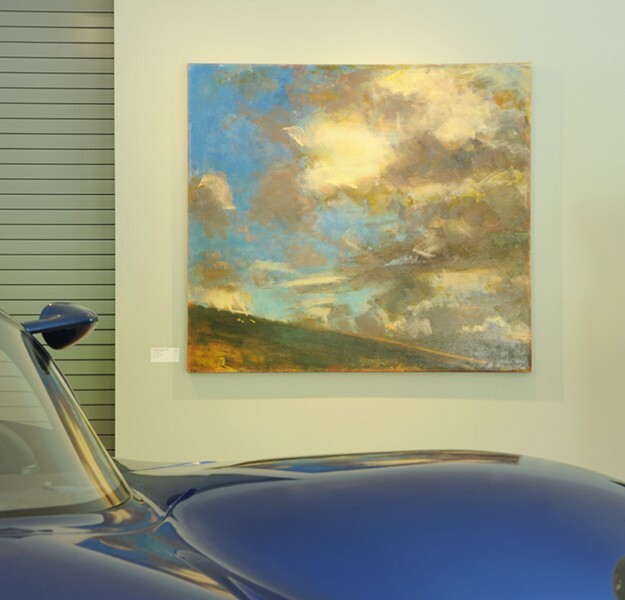 We research, select, frame, deliver and install artwork for homeowners, architects, interior designers, healthcare facilities, law firms, small businesses and corporations. Founded on he belief that the selection of art work and it's strategic placement in a space is a powerful means of expression and identity for businesses and individuals, RCS is establishing itself as a valuable partner for business looking to spruce up their venues, and artists eager to promote their work. To learn more check out the group's Facebook.